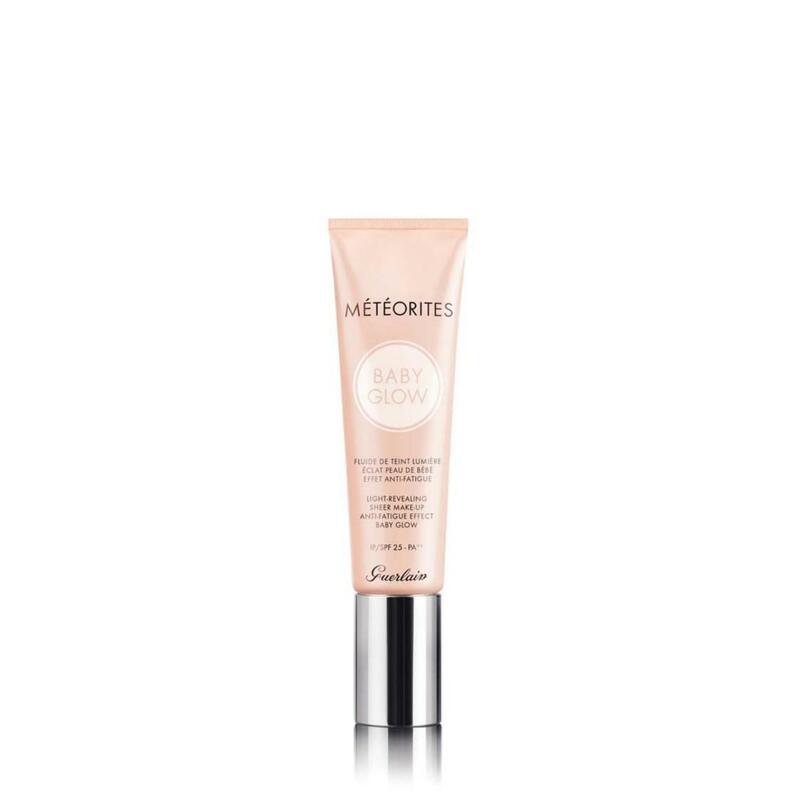 With Météorites Baby Glow, for the first time, light becomes liquid… subtle, silky, impalpable. With a unique alchemy that combines technology with a touch of magic, this liquid light glides onto the skin as a luminous, perfecting veil that erases signs of fatigue and reveals the youth and natural glow of the complexion. The skin looks rested, smooth and replenished – as beautiful and fresh as a baby’s skin. Like an infusion of moisture, the ethereal and delightfully aqueous texture of Météorites Baby Glow makes it glide effortlessly onto the skin, suffusing it with a long-lasting sensation of comfort. With this hydrating burst of freshness, the skin relaxes and appears refreshed, invigorated, plump and radiant. Apply evenly to entire face, from the center outwards, or dab onto specific areas to light up the features. For a perfect finish and enhanced radiance, layer with a halo of Météorites Perles de Powder or Météorites Compact.